Hello, to all the Fellow Reader’s. From Where and how I started ? 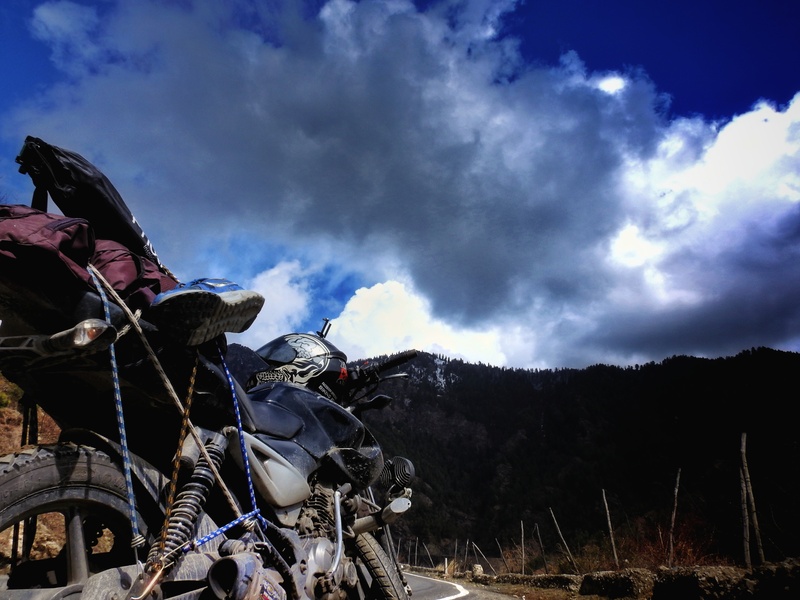 I was very busy in my daily life schedule, suddenly I got a thought that I should get a break as soon as I can get and after two days of winding-up my work, I started my Journey from New Delhi To Narkanda, Himachal Pradesh on my bike. Total Journey was of 450 kilometers from one side And round trip from Delhi – Narkanda – Delhi was around 1100 kilometers including sightseeing. For Reaching Narkanda I splited my journey in to two days because of heavy rain, First day I reached Shimla by evening and had an overnight stay. On second day I started again heading towards Narkanda from shimla total distance was around 70 -80 kilometers only though I decided not to rush and started cruising my bike at average speed of 30 kmph and having short breaks at every 15-20 kilometers while witnessing the beautiful Snowed valleys. The View and Altitude changing place was kufri,Himachal Pradesh , a small hill station in shimla District, it took around two-hours to reach Narkanda from Kufri …as I was going slow and steady. When I reached Narkanda I was totally amazed by the Mother Nature ,as the whole area had received a heavy snowfall last night. It was wonderful evening and it had started getting dark and I haven’t found any stay till 5 pm because of my low budget, suddenly a local person named Varun Rajta asked me whether I was looking for any help,or something, I instantly replied “yes, I am looking for a budget stay”, later on I came to know the he is the owner of a camp site in the same area. I got my stay for Only Rupees 800 for a day and a night including Stunning Breakfast and Yummy homemade dinner along with a bonfire and soothing music as the campsite was around 6 kilometers away from Narmada into a village it was a best peaceful night I ever had. Next day we headed towards the holy place Known as Hatu Peak at the height of 12000ft+, it is easily accessible in late summers by road but I visited the place in post winter season though we had to trek for more than 5 kilometers in 4-5 ft of snow. Overall experience was amazing just because of Varun Rajta sir owner of “Vanvaas camps” Narkanda, he also offered me free sightseeing, I took great memories and experiences back from this road trip. I recommend You all to visit this place in pre-summer season. Few of my photographes from Narkanda. Next Cheapest travel to India| how is it possible ?